Britannic To Become Underwater Tourist Attraction? 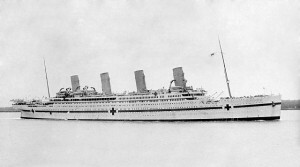 HMHS Britannic seen during World War I.
HMHS Britannic, which sank in 1916 off the Greek coast likely by a mine, could become an underwater diving park. It has been declared a war grave and the Greek government has made it difficult to get permits to dive to it even for legitimate research purposes. That appears to have changed. The Greek economy is not doing well and there is a serious effort underway to make it an historical attraction with museum, hotel, and diving school. 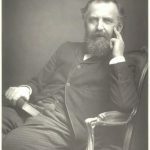 Unlike Titanic, there is not likely to be any salvage and would be treated as a historical exhibition you can dive to. The plaque in memory of the Northern Echo editor WT Stead has been removed by Darlington Borough Council from outside the town’s library after it was daubed with felt-tip by vandals and is now being cleaned. Gerhard and Adrienne Schnuerer of Huntington Beach, Calif., are owners of this one-of-a-kind 1911 Benz, rare because of its German heritage and New York coachwork.The car was ordered by Charles Hayes, a railroad tycoon from Chicago who went down with the Titanic after she struck an iceberg. Part of his legacy becomes the car he left behind — although he never saw it. It was still being built when he died. A set of keys from the Titanic, which were previously owned by a Jersey collector, has sold for twice the estimate at auction. David Gainsborough Roberts put the set of four up for auction at Christies in London. The keys, which are thought to have belonged to Samuel Ernest Hemming, the lamp trimmer on board the ship, sold for £20,000 yesterday evening. To get around this huge wreck in the limited time – only 45 minutes – that the divers have at depth, they use underwater scooters. Even with rigorous safety measures in place, the sea is still unpredictable, especially at these depths. Britannic claimed the life of world-renowned technical diver Carl Spencer in 2013 and Kovacs says that it’s not uncommon to hear the explosions of illegal fishermen nearby.Kovacs’ holy grail for this wreck is a rivet-accurate blended acoustic and optical model of the entire exterior yielding a hugely accurate picture of the bulkheads. What this means in practice is a 3D volumetric model. The acoustic images have been taken with multibeam and side-scan sonar from the Perseo ROV and these will be overlaid with the optical results from the divers. It was a replica of the most famous sinking ship in history. Made with cardboard and deliberately cracked at its center, the vessel defied its design and the notorious fate of its predecessor. It floated. “We can’t even sink the Titanic,” designer and builder Dave Turk said Friday as he loaded the too-successful boat into the back of a pickup truck at the close of the United Way’s cardboard boat race. HMHS Britannic was the third ship in the Olympic class ocean liner built by White Star Line, and the sister ship of RMS Olympic and RMS Titanic. Due to World War I, she was never used as a transatlantic passenger liner and ended being used as a hospital ship in 1915. On 21 Nov 1916, the ship was sunk likely by an underwater mine off the Greek island of Kea. Of the 1.066 people aboard, 30 lost their lives. Since it sank in shallow waters, the wreck is easily accessible to divers and numerous expeditions have taken place. Although the wreck is in Greek waters, the British have designated it as a war grave and both governments must approve expeditions to the wreck. In 1996 the wreck itself was sold to author Simon Mills whose desire is to leave it as is. Mention that you have authentic Titanic memorabilia and people are interested. If instead it comes from its sister ship Brittanic, expect a yawn. 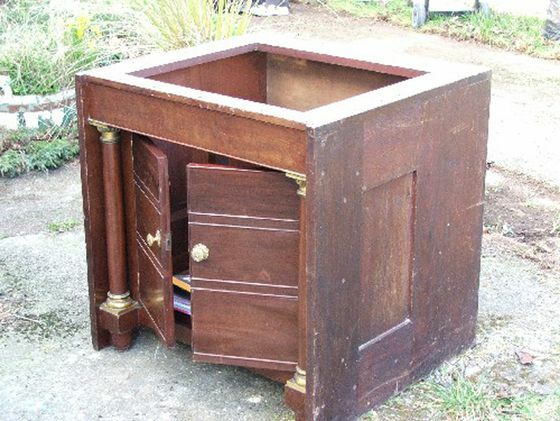 That is what happened to Richard McLaughlin, a pub owner in Killinchy, Northern Ireland, when he discovered a mahogany linen chest from Brittanic. It had been in the family for 70 years. How it got into the family is an interesting tale according to Belfast Telegraph. His grandfather, William Walsh, was wounded during the Gallipoli campaign in 1916 and evacuated to Brittanic, which was operating as a hospital ship. All the furniture had been stripped so he did not get the chest then. It came later when he married his wife. His wife bought the linen cabinet but where she bought it from is a mystery. However when the ship went down in 1916 (likely a mine), its furniture was likely reused or sold by White Star. And until the temporary top was removed recently by McLaughlin, apparently his grandfather had no idea it was from Brittanic (or at least there is no indication he knew this). McLaughlin contacted the Transport Museum to see if the would be interested in the piece; they were not. So he decided to auction it off. Christies said the best place for it to be sold would be New York (surprising since Henry Aldridge usually has a corner on these things). So off to New York went the chest and it waits to be auctioned off. Unfortunately Hurricane Sandy has put the auction on hold for now but McLaughlin is hopeful it will find a home in the U.S. He is disappointed that no one at home was interested in taking the piece. But it seems many are focused on Titanic forgetting the sister ships Olympic and Brittanic. Too bad because once they get up to speed and realize the importance of having them in the Titanic/White Star collection it will be too late.